Inking It Up With Cathy: Black & White - and a Splash of Color! I confess that I didn't hold completely to the Black & White theme for my class. In this case, I loved the splash of color on the card I CASE'd from. 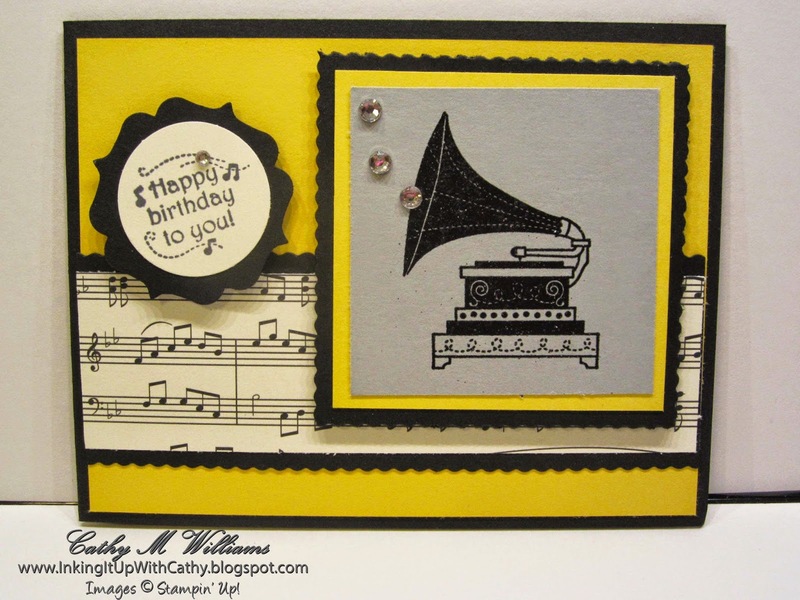 Super fun and easy card to make and gave me a chance to use the Tiny Wave Rotary Cutting Blade for my trimmer. 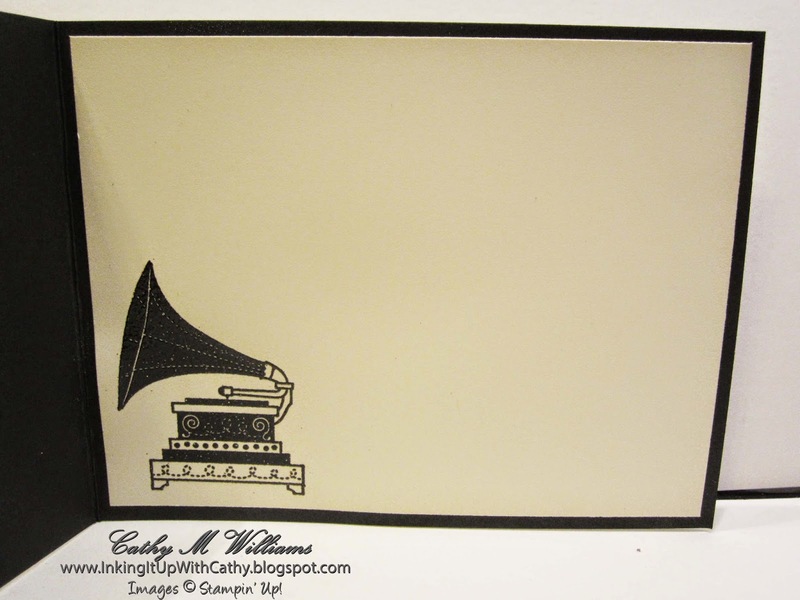 On both the front and inside of the card, the phonograph was stamped in VersaMark and embossed with Basic Black embossing powder.